For those in London head down to Covent Garden tomorrow Wednesday 8th May 2013 as GlossyBox will be celebrating their 2nd Birthday by installing a giant Glossybox and giving away complimentary Glossyboxes in Covent Garden square. Along with the enormous GlossyBox, a special Glossybox countdown clock will be installed counting down the minutes between the scheduled opening times of 12:30, 13:45, 14:30, 16:30, 17:30 and 18:45. Glossyboxes will be handed out to the public at these times for a period of 10 minutes before the box is closed again. GlossyBox’s celebrity ambassadors including Kimberly Wyatt and Amber Atherton will be opening the giant Glossybox. Some of their celebrity friends such as Rosie Fortescue, Millie Mackintosh and Laura Whitmore will be popping down to get their hands on this very special edition Glossybox too. 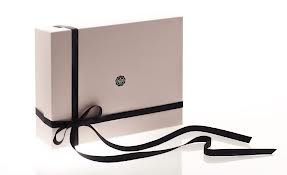 The May GlossyBox will include a carefully selected range of products wrapped in a beautiful box. Brands included in the May box will be Givenchy, Roger & Gallet, L’Occitane, Caudalie, La Roche-Posay and many more. Ah! Such a shame I won't be in London for this! Such a brilliant idea. That glossy box is cute!